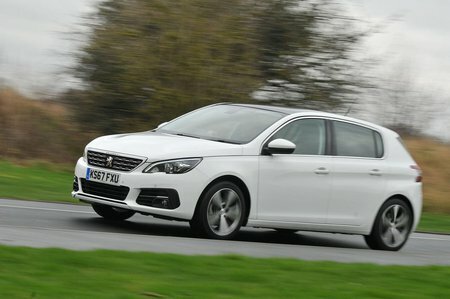 Peugeot 308 Running Costs, MPG, Economy, Reliability, Safety | What Car? The 308 is competitively priced and should be relatively cheap to run. The diesels – particularly the 1.5 – and the 1.2 turbo petrol models are impressively economical, while their low CO2 emissions help to make them cheap to run as company cars. The least economical and clean engines are the 1.6 petrols reserved for the sportier models. Resale values are the only area where the 308 struggles to match the class leaders, with most models achieving only average results. Cars such as the Volkswagen Golf and Skoda Octavia may cost a bit more to begin with, but they’ll hold onto more of their value over the course of ownership, so are actually cheaper in the long run. That’s reflected in their cheaper finance deals, too. 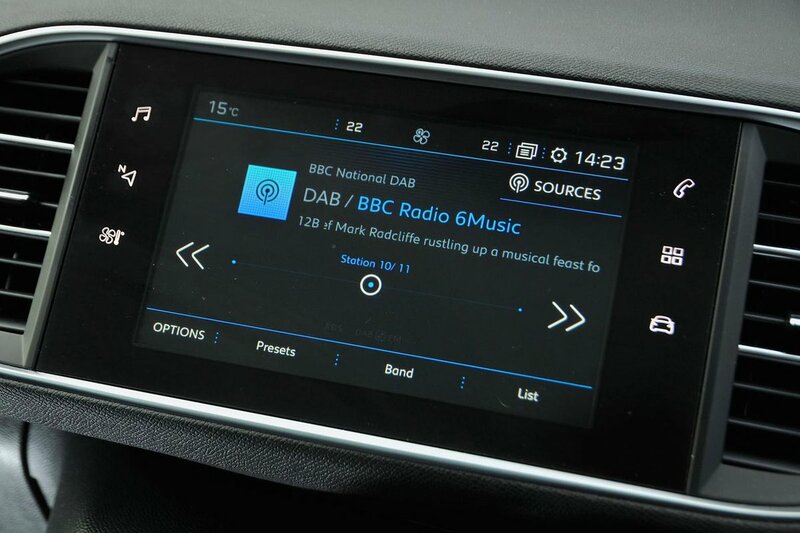 Every 308 comes with a 9.7in infotainment touchscreen with sat-nav, Bluetooth, a digital radio, Apple CarPlay, Android Auto and MirrorLink smartphone mirroring, cruise control, dual-zone climate control and rear parking sensors. Allure models (the next step up from entry-level Active trim) are more expensive, but add sports seats and front parking sensors. GT Line adds LED headlights, 18in alloys and part-Alcantara sports seats as standard. Range-topping GT trim adds keyless entry, but it is very pricey. At the top of the range sits the GTi, which gets the range’s largest 19in alloys and a whole host of unique sporting touches to go without its strong performance. Reliability for Peugeot, and indeed the 308, does not make great reading. Peugeot as a brand scored poorly, finishing 27th out of the 32 manufacturers in our latest reliability survey. Volkswagen showed a better performance, while Skoda scored far higher. The 308 didn’t do much better; it finished about mid-table in the family car class. That said, the Golf, Octavia and Vauxhall Astra finished mid-table or worse. Cars such as the Ford Focus and Toyota Auris scored higher marks. All 308s come with three years of standard warranty, along with breakdown cover with the AA for the first year. The 308's standard safety equipment is comparable to most rivals'. In addition, Peugeot offers a Safety Plus and Driver Assistance Pack on some models that bring several desirable extras, including adaptive cruise control, lane departure warning, active lane assist, blindspot monitoring and automatic emergency braking. Security kit includes an engine immobiliser and deadlocks, and all models get an alarm. 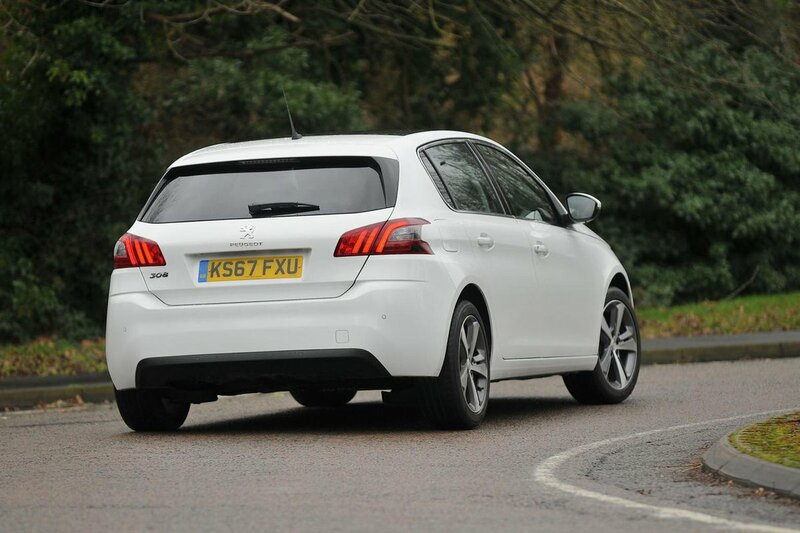 The 308 was tested by Euro NCAP in 2013, when it received the full five-star rating. The Golf and Octavia were tested around the same time and also achieved five stars, but the 308 scored lower marks in its adult, child and pedestrian protection scores. Security firm Thatcham Research has run its tests on the 308, too. While the car scored four stars out of a possible five for resisting being driven away, it scored only three stars for in resisting being broken into.